Its advertisements were pretty attractive in English and Chinese. 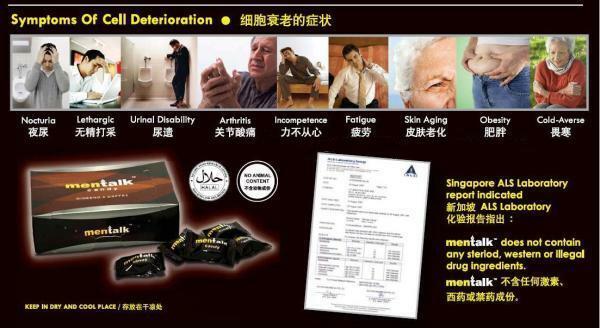 Its target market is practically the whole world of people (yes, it has Halal certification to cater to the world’s Muslim community) with “Symptoms of Cell Deterioration” – nocturia, lethargy, urinal disability, arthritis, incompetence, fatigue, skin aging, obesity, cold-averse). Its news coverage is all over the Internet. It had been sold through the Internet and possibly through multi-level-marketing (MLM). 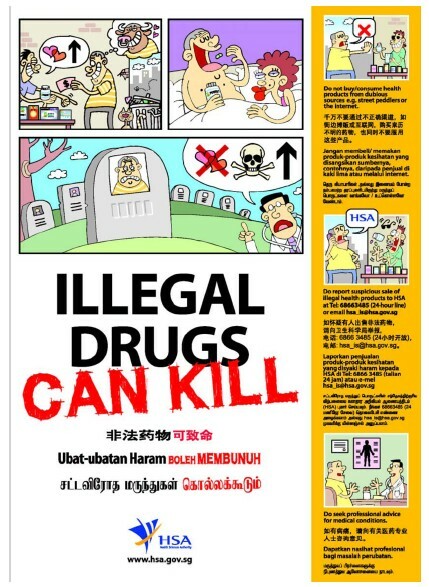 Some of its online promotions have even stated that a certified laboratory in Singapore has tested that it is not adulterated with “Aphrodisiac Western Medicines or Illegal Drug Ingredients” and that it was “categorized as food and no MAL number is required” (MAL number is a approval number issued by the Ministry of Health of Malaysia). As listed on some promotional pages, it is stated that its main ingredient is the “Ginseng of The Desert” (Cynomorium Songaricum ) which “Helps invigorates the kidney and supplements essence for kidney YANG and insufficiency of blood manifested as impotence, nourishes the intestine and relaxes the bowels“. Other ingredients include “Ginseng Extract, Hydrolysed Protein, Enzyme, Pomegranate, Polyphenol, Malt“. What is more worrying as HSA put it was that “As the product is marketed as a food-like item, there is potential danger to the wider population if the candy is unwittingly eaten by consumers, including teenagers and young children. . One of its advertisement stated “One world, One Candy”. As of this writing, follow-up actions by HSA and relevant authorities are underway. Is it a case of trying to cheat passed the health authorities by submitting a truly safe sample for the lab test and then launching the adulterated version ? 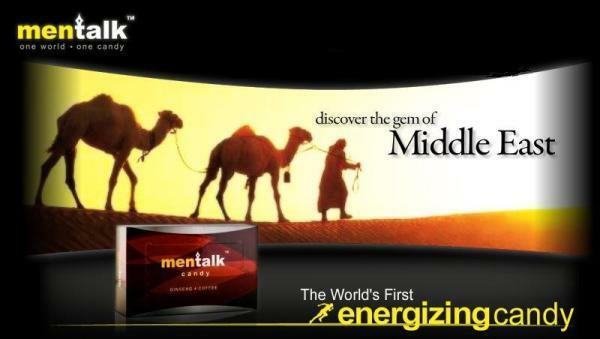 If so, it really took guts to have so many ads and one of them to state that “Mentalk does not contain any steroid, western or illegal drug ingredients”. Or is this a case of product that fell short of its effectiveness after launching and thus with the pressure to maintain the growth plan after pouring some much into the marketing of it, a decision was made to “refine” the product resulting in the adding of extra undeclared ingredients into the formula? If so, it is really foolish to do it in countries like Singapore where our HSA and AVA (Agri-Food and Veterinary Authority) are very proactive in conducting post-market survey and analysis of products, especially those that are too good to be true. HSA has been doing public education and awareness campaign. Oh, I am surprised that Mentalk had included the actual Singapore ALS Laboratory report in their advertisement. Didn’t the report has the same statement “This report cannot be used for advertising purposes.” printed at the top of each of their test reports just like those from laboratories of HSA and SGH (Singapore General Hospital), etc.